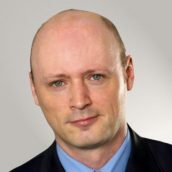 Mike Leber works as a Management Consultant, Lean & Agile as well as business coach with Agile Experts e.U. Having more than 25 years experience as a manager, IT consultant and coach with large international groups as well as with smaller teams and mature startups, Mike is well prepared to enrich his classes with hands-on advise and rich learning stories. Mike is an Accredited Kanban Trainer (AKT) of LeanKanban University and also a Scrum Trainer, Management 3.0 and Lean Change Facilitator. Mike's passion is with topics such as leadership, innovation, design thinking and new ways for change management and the growth of highly adaptive “Learning Organizations”. His experience applying Lean and Agile with large IT and industrial organizations since many years feeds a deep learning experience. This is extended with a growing record from work with creative agencies, non-IT departments and diverse industries. The Kanban Method is a highly comprehensive approach for driving real powerful business impact. In this course the participants learn how to use Kanban for growing their business Agility, making their product and service delivery “fitter for purpose“ and running powerful approaches for change management. Attending our LKU certified class – the home base of the Kanban Method – you can be sure to get the most out of Kanban. This LKU certified Kanban class is for anyone, who wants to lead making a product or service organization fitter for its competitive position. Whether you are a manager, product owner, Scrum Master, team member or coach – if you want to learn the full Kanban body of knowledge or deepen / refresh your knowledge around the Kanban method, this is the right place to be. The foundation class is equally for starters and for all, who want to go really deep with Kanban, or want to expand their existing Kanban knowledge significantly. The class includes the LeanKanban University „Foundation Level“ certificate of completion. If you want to go further at a later stage, this enables you together with another Advanced class to receive the Kanban Management Professional (KMP) credential. In addition, participants of this Kanban class are eligible for 16 SEU (Scrum Education Units) for their Scrum Alliance CSP certificate and 16 PDUs as PMI members (e.g. for extending their PMP or PMI-ACP certificate).